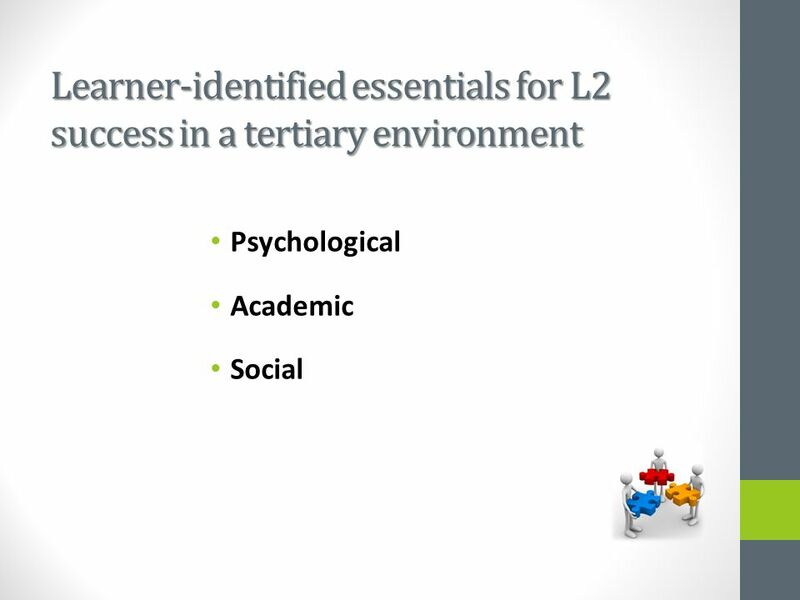 Learner identified essentials for tertiary success (L2) Clesol 2014 Mary Fisher & Mhairi Mackay Wintec, Hamilton, NZ. 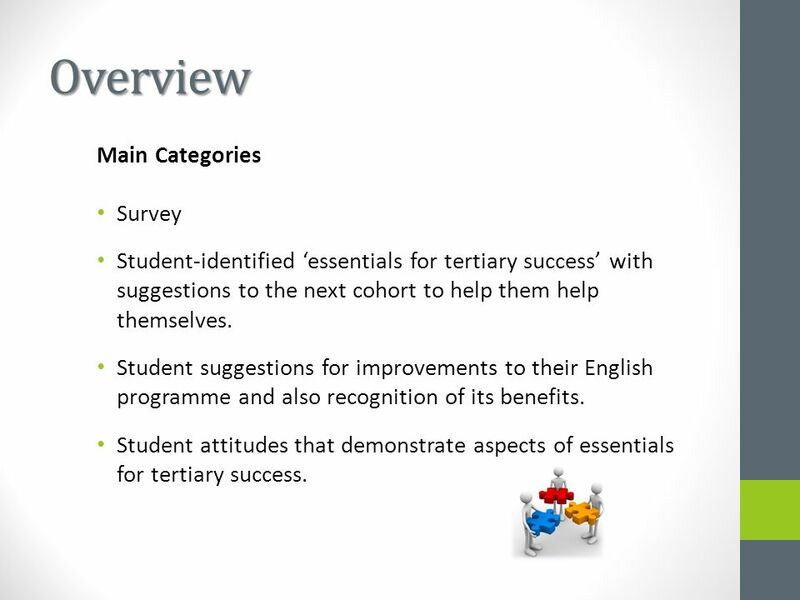 2 Overview Main Categories Survey Student-identified ‘essentials for tertiary success’ with suggestions to the next cohort to help them help themselves. 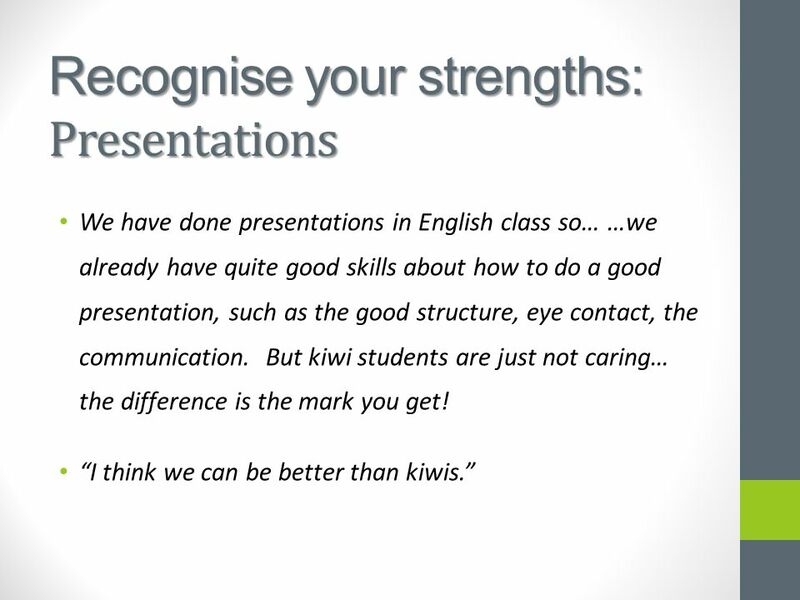 Student suggestions for improvements to their English programme and also recognition of its benefits. 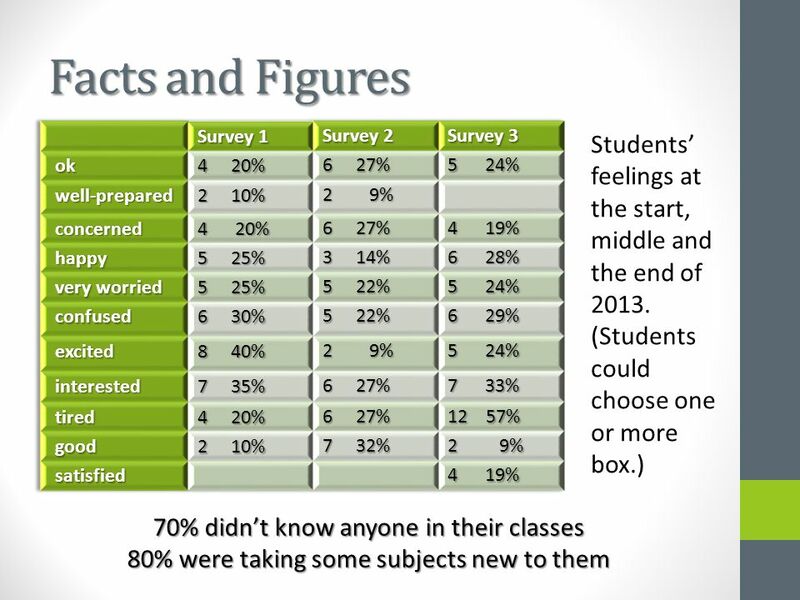 Student attitudes that demonstrate aspects of essentials for tertiary success. 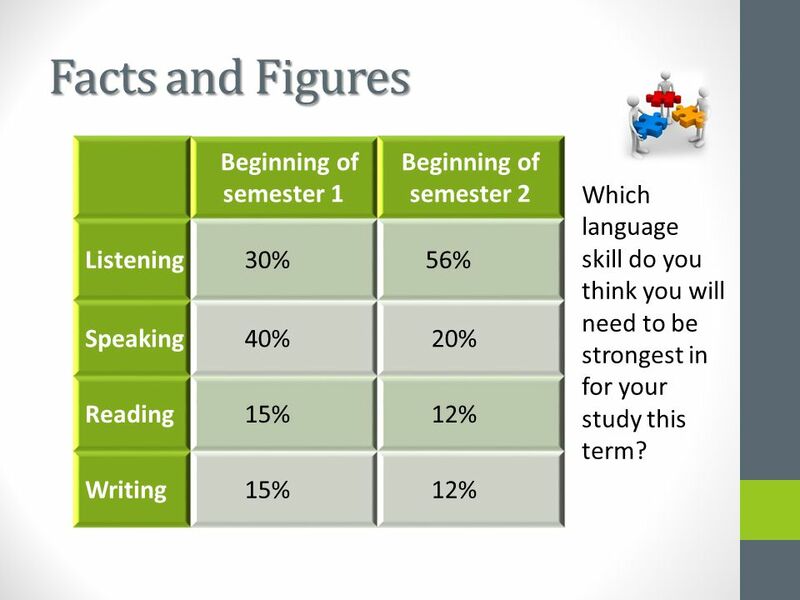 5 Facts and Figures Beginning of semester 1 Beginning of semester 2 Listening 30% 56% Speaking 40% 20% Reading 15% 12% Writing 15% 12% Which language skill do you think you will need to be strongest in for your study this term? 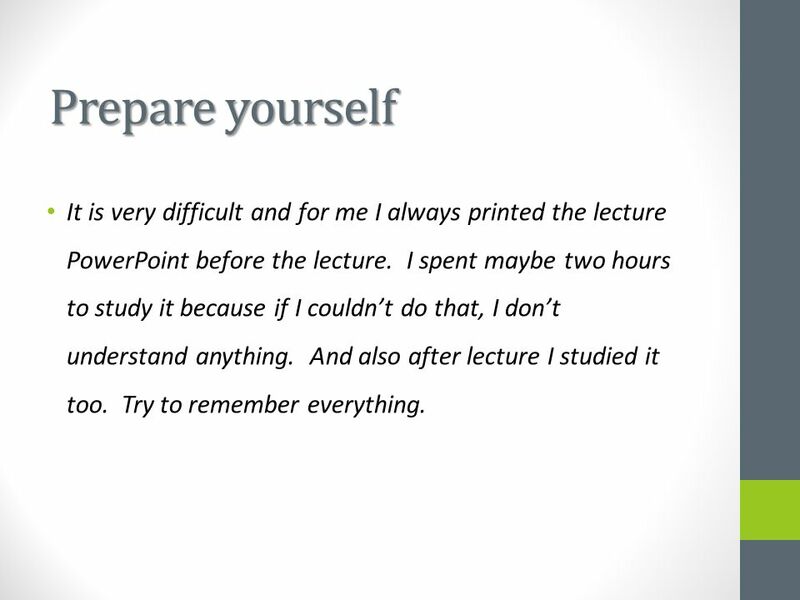 7 Prepare yourself It is very difficult and for me I always printed the lecture PowerPoint before the lecture. I spent maybe two hours to study it because if I couldn’t do that, I don’t understand anything. And also after lecture I studied it too. Try to remember everything. 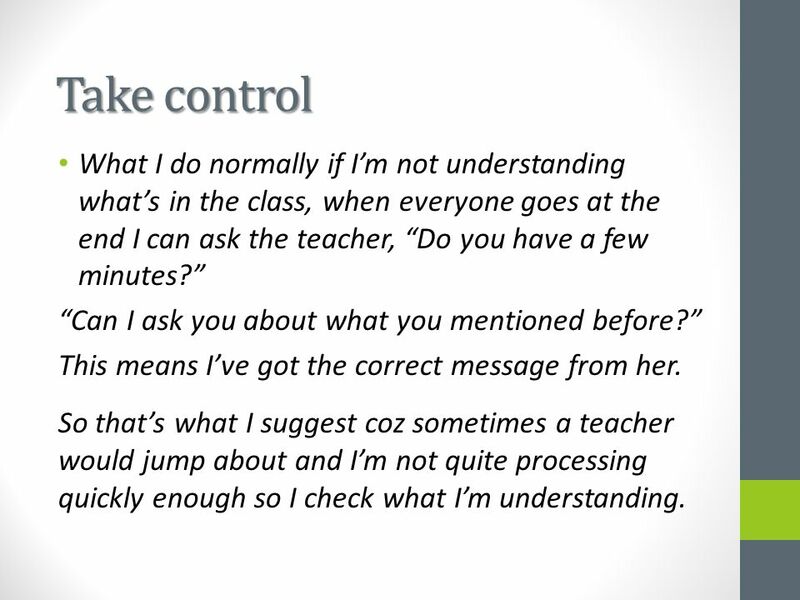 8 Take control What I do normally if I’m not understanding what’s in the class, when everyone goes at the end I can ask the teacher, “Do you have a few minutes?” “Can I ask you about what you mentioned before?” This means I’ve got the correct message from her. 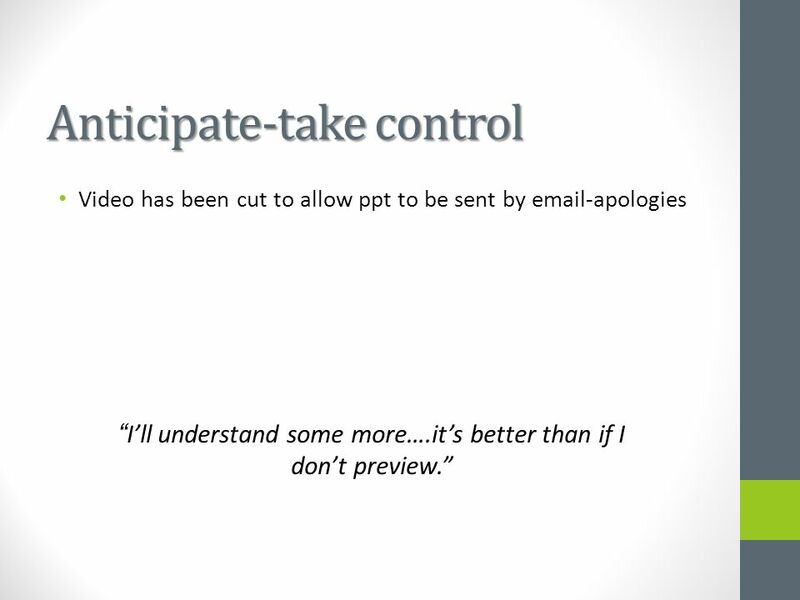 So that’s what I suggest coz sometimes a teacher would jump about and I’m not quite processing quickly enough so I check what I’m understanding. 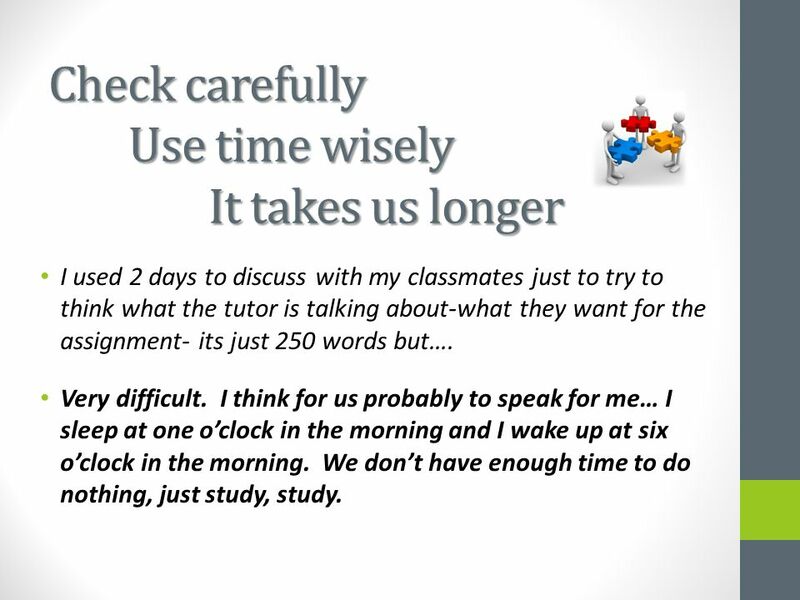 10 Check carefully Use time wisely It takes us longer I used 2 days to discuss with my classmates just to try to think what the tutor is talking about-what they want for the assignment- its just 250 words but…. Very difficult. I think for us probably to speak for me… I sleep at one o’clock in the morning and I wake up at six o’clock in the morning. We don’t have enough time to do nothing, just study, study. 11 It’s normal to feel frustrated … at the beginning of the study I had the same feeling, what is the tutor talking about…I couldn’t catch up with them. 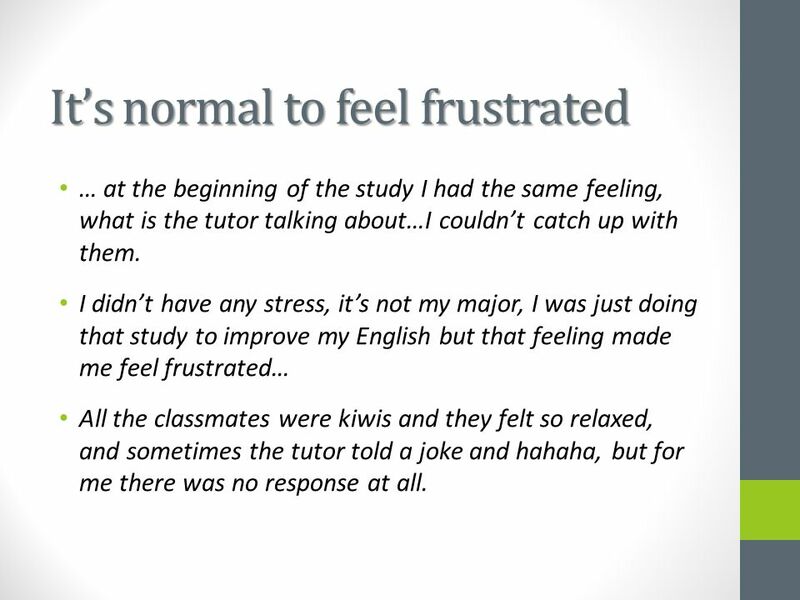 I didn’t have any stress, it’s not my major, I was just doing that study to improve my English but that feeling made me feel frustrated… All the classmates were kiwis and they felt so relaxed, and sometimes the tutor told a joke and hahaha, but for me there was no response at all. 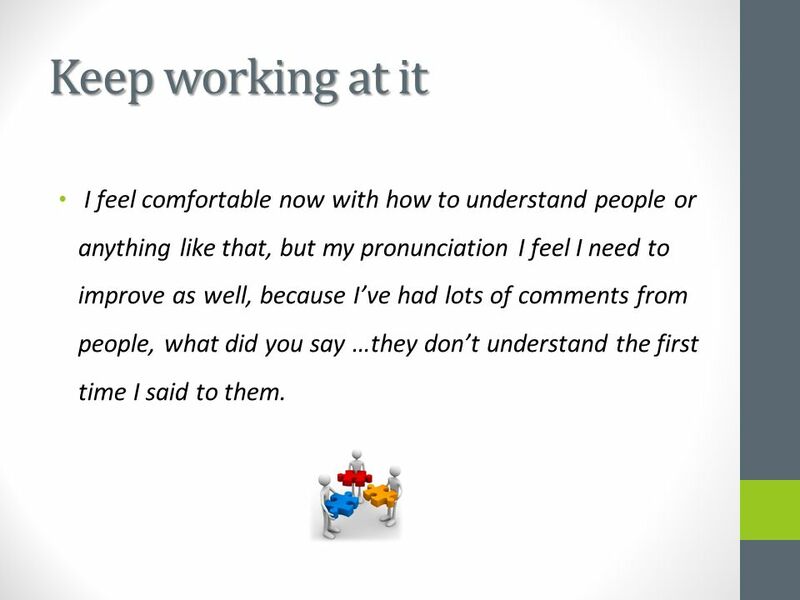 13 Keep working at it I feel comfortable now with how to understand people or anything like that, but my pronunciation I feel I need to improve as well, because I’ve had lots of comments from people, what did you say …they don’t understand the first time I said to them. 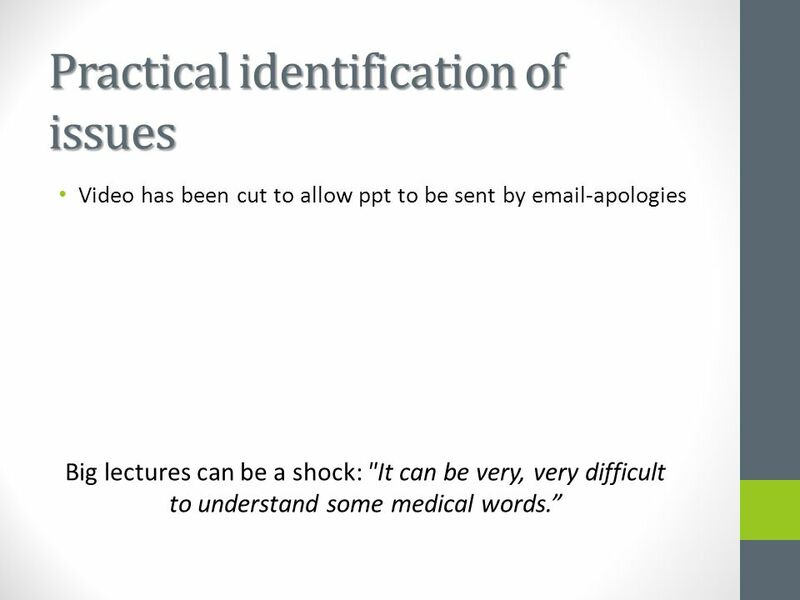 16 Is language such a big issue? 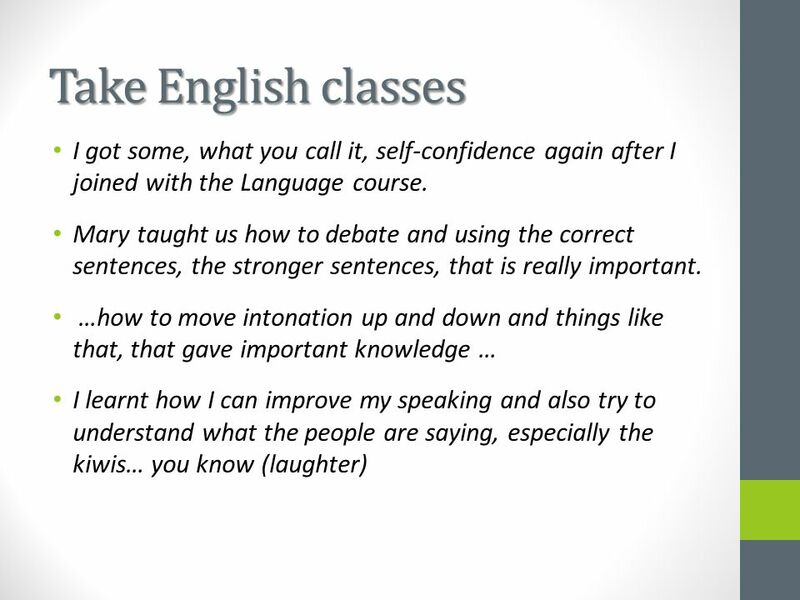 If your grammar is not very good but your idea is good, you’ll also have quite high marks. 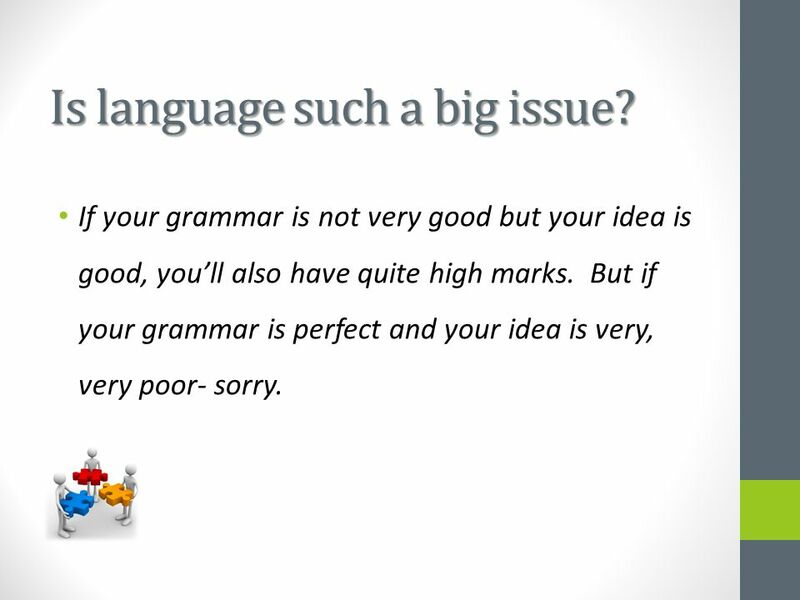 But if your grammar is perfect and your idea is very, very poor- sorry. 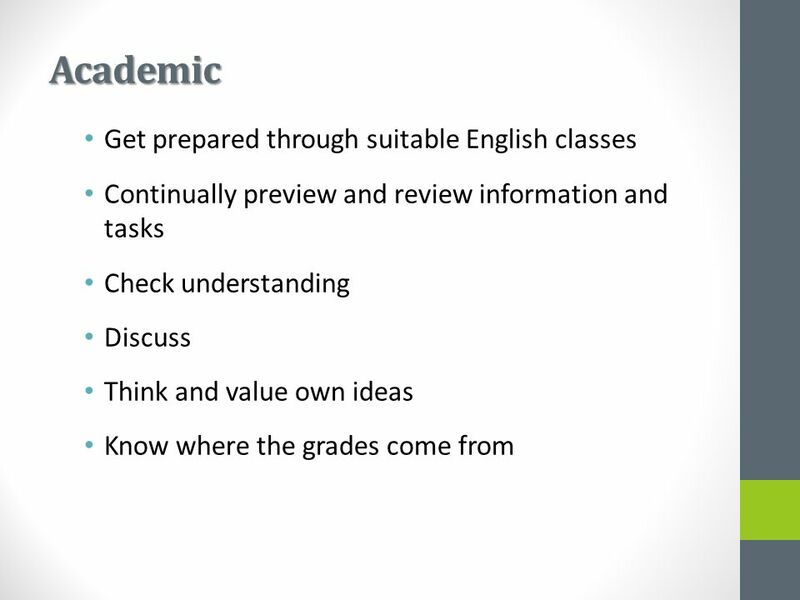 17 L2 students NEED academic writing training I think it’s helpful. 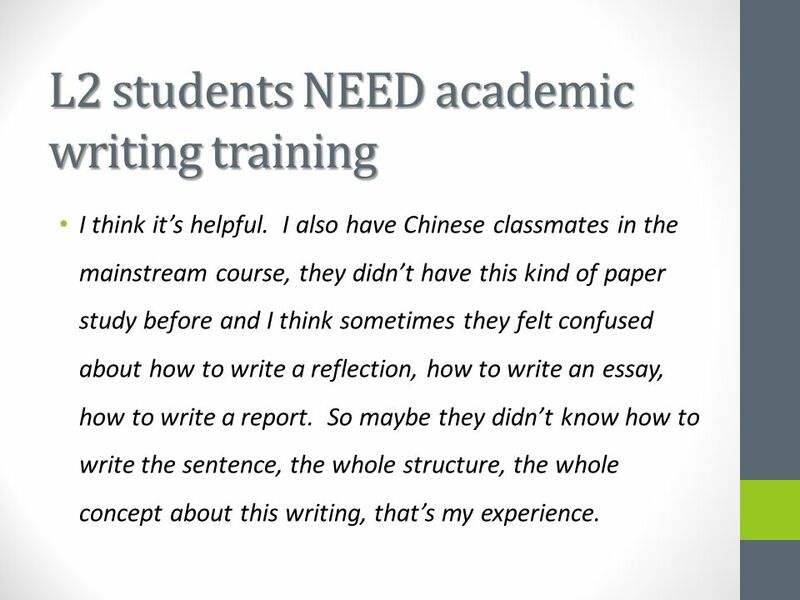 I also have Chinese classmates in the mainstream course, they didn’t have this kind of paper study before and I think sometimes they felt confused about how to write a reflection, how to write an essay, how to write a report. So maybe they didn’t know how to write the sentence, the whole structure, the whole concept about this writing, that’s my experience. 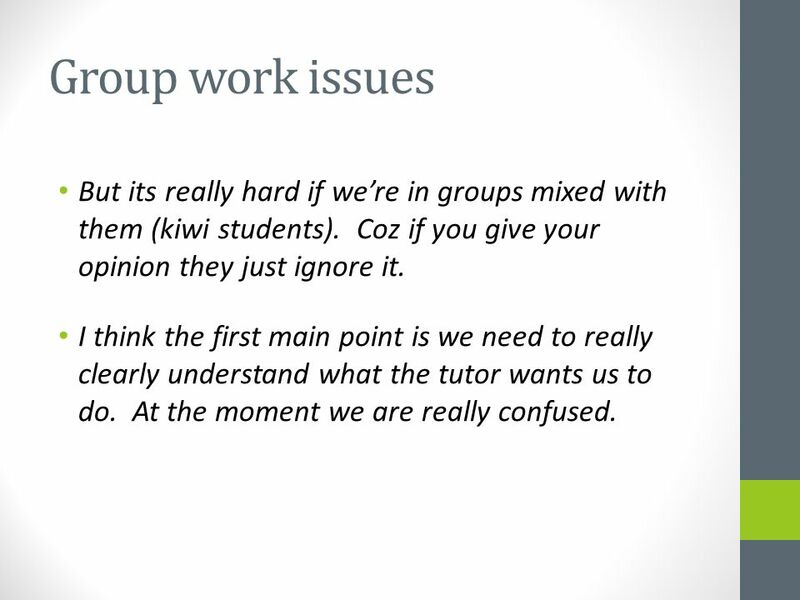 19 Group work issues But its really hard if we’re in groups mixed with them (kiwi students). Coz if you give your opinion they just ignore it. 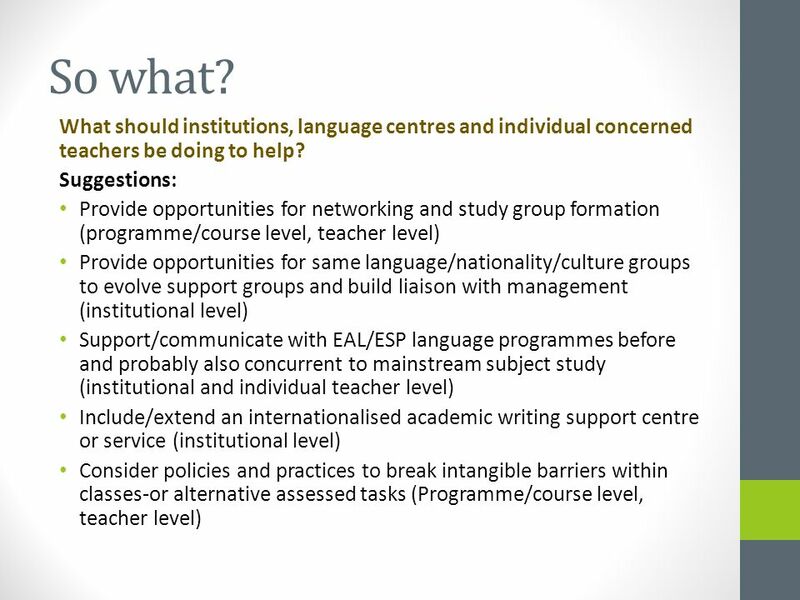 I think the first main point is we need to really clearly understand what the tutor wants us to do. At the moment we are really confused. 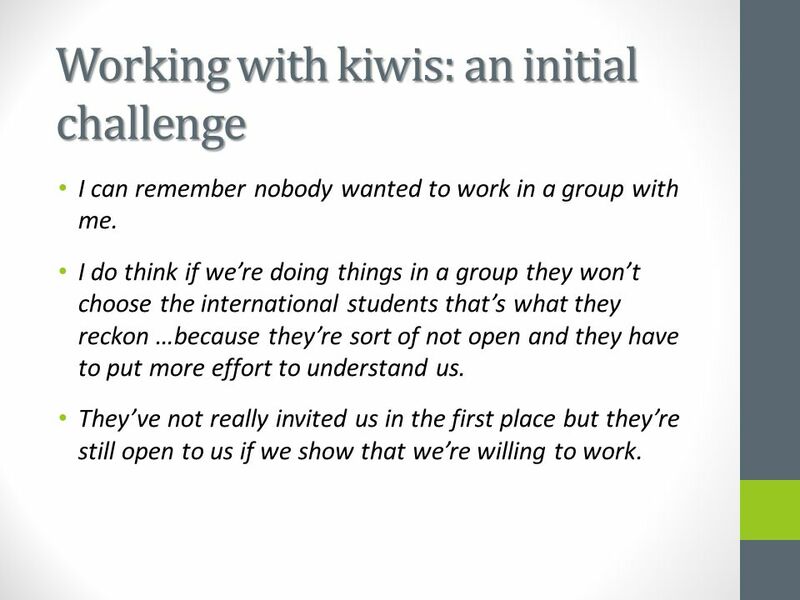 20 Working with kiwis: an initial challenge I can remember nobody wanted to work in a group with me. 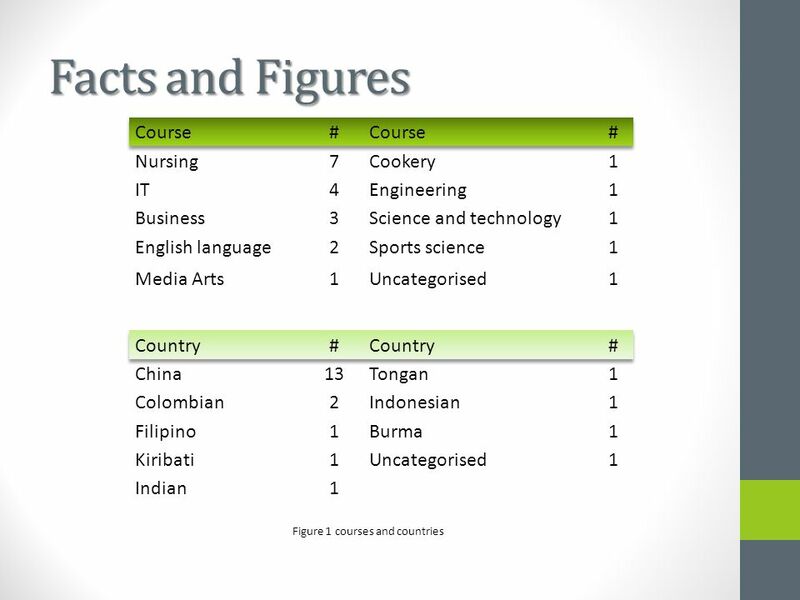 I do think if we’re doing things in a group they won’t choose the international students that’s what they reckon …because they’re sort of not open and they have to put more effort to understand us. They’ve not really invited us in the first place but they’re still open to us if we show that we’re willing to work. 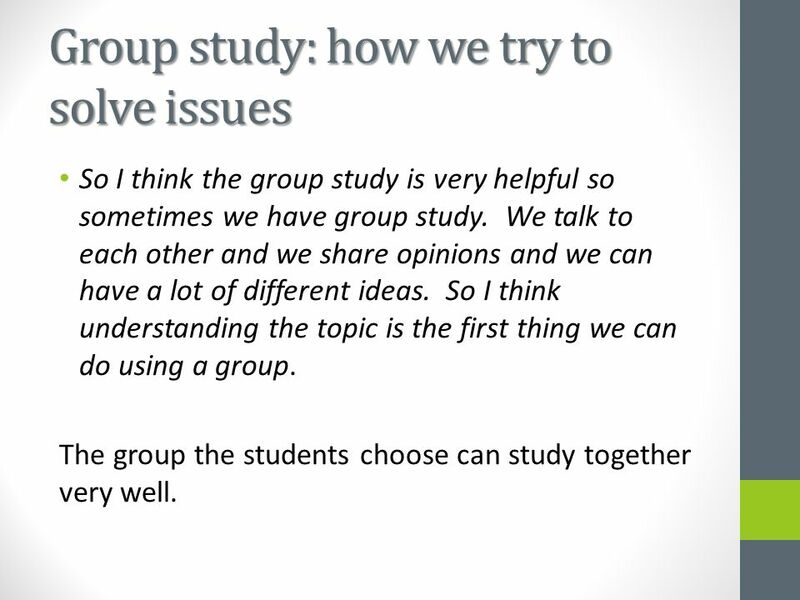 22 Group study: how we try to solve issues So I think the group study is very helpful so sometimes we have group study. We talk to each other and we share opinions and we can have a lot of different ideas. 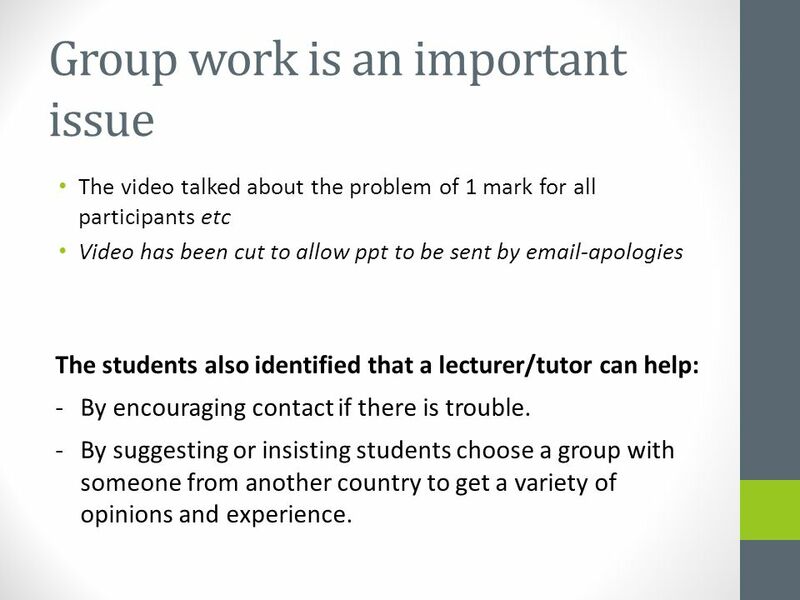 So I think understanding the topic is the first thing we can do using a group. 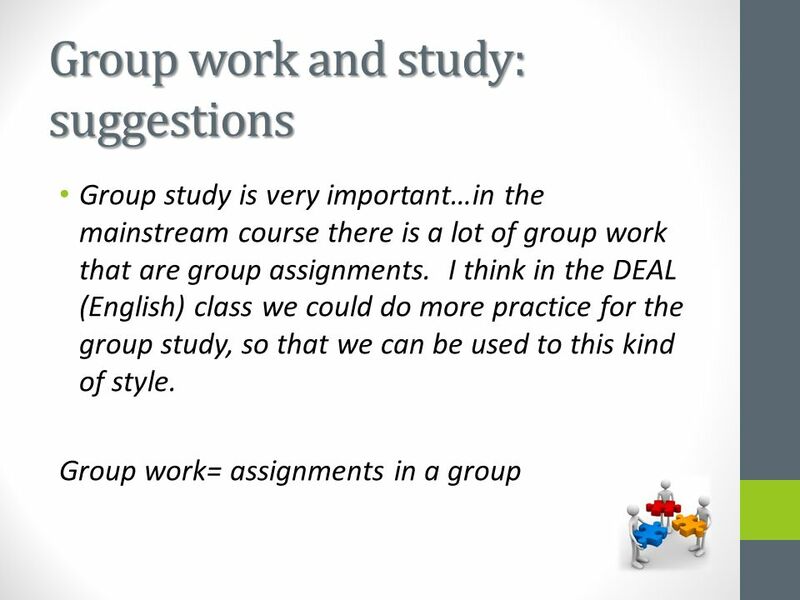 The group the students choose can study together very well. 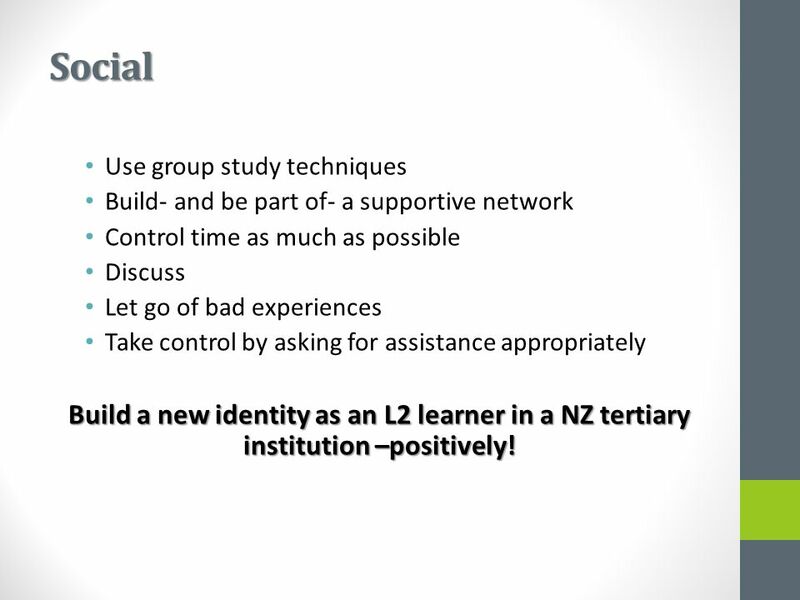 27 Social Use group study techniques Build- and be part of- a supportive network Control time as much as possible Discuss Let go of bad experiences Take control by asking for assistance appropriately Build a new identity as an L2 learner in a NZ tertiary institution –positively! 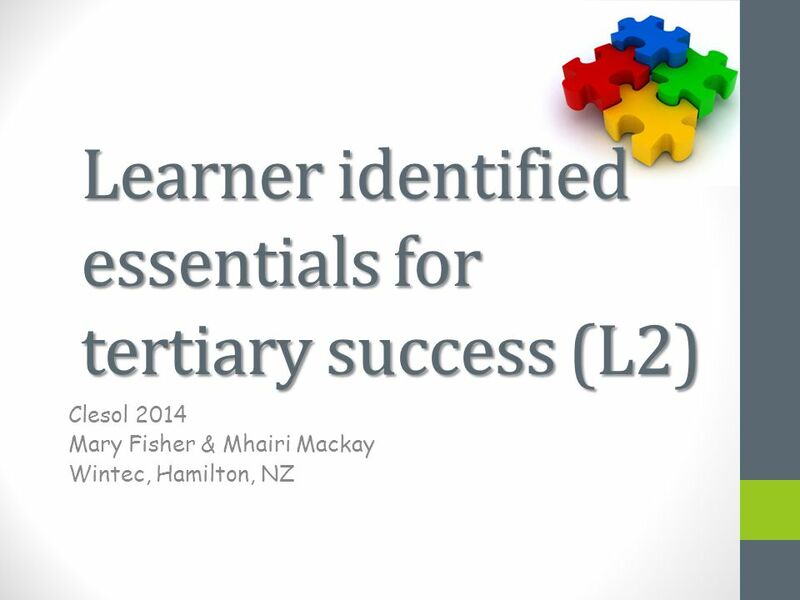 Download ppt "Learner identified essentials for tertiary success (L2) Clesol 2014 Mary Fisher & Mhairi Mackay Wintec, Hamilton, NZ." Test and Assignment StrategiesThat Really Work! 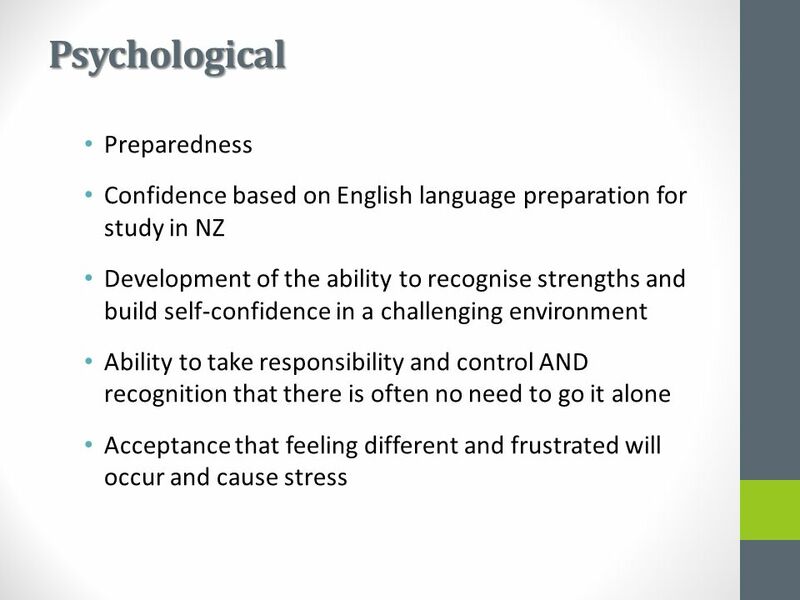 I don’t pretend I’m a Kiwi: Insights from nursing graduates on language and identities in new cultures Caroline Malthus and Hongyan Lu. 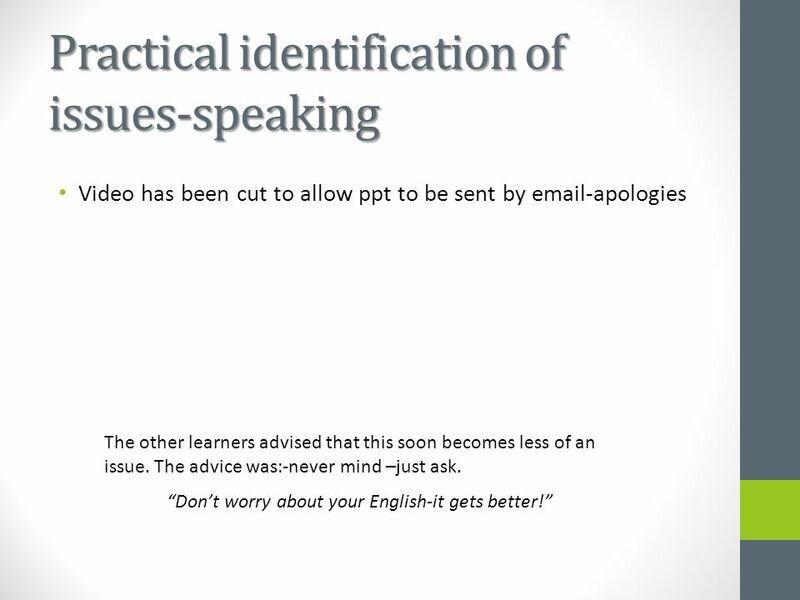 Advice to Incoming Honors English Freshmen From the Pros: The Honors English Nine Students Before you start, remember: The ideas and italicized. What children think about having a thyroid disorder: a small scale study By Shannon Davidson Age 10. 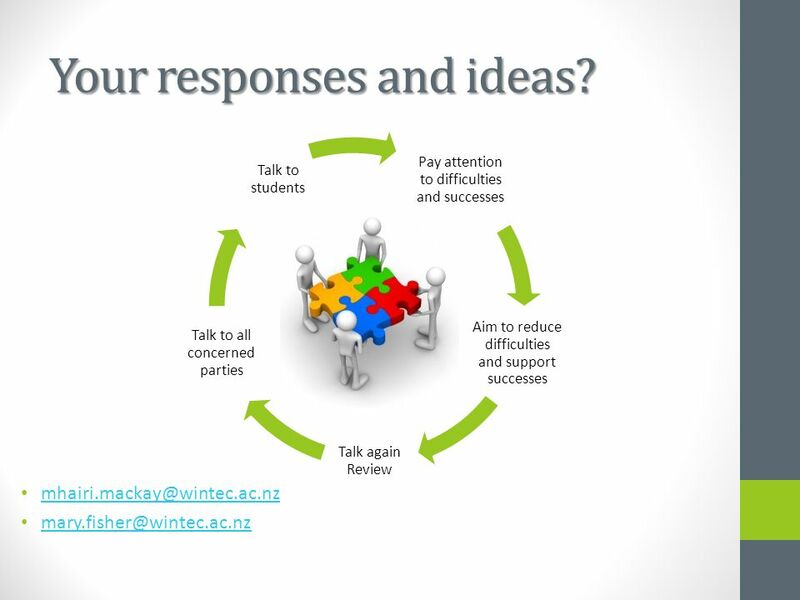 Perceptions of the Role of Feedback in Supporting 1 st Yr Learning Jon Scott, Ruth Bevan, Jo Badge & Alan Cann School of Biological Sciences.